Reba McEntire’s rise to the top of the country music world was long and slow. Her first single for Mercury Records, 1976’s “I Don’t Want To Be A One Night Stand” peaked at #88 on the Billboard country singles chart, and the next few singles stalled in the 80s as well. She didn’t reach the Top 20 until 1979 and didn’t reach the Top 10 until the following year. She finally scored her first #1 in 1982 with “Can’t Even Get The Blues”, a song that had been intended for Jacky Ward, but which she fought hard to be allowed to record. Dissatisfied with the material Mercury was providing for her, Reba left the label when her contract expired in 1983, and signed with MCA Records. Unfortunately, her tenure at MCA got off to a rocky start when she found herself in another situation where she had little say in the material she recorded. Her 1984 debut album for the label turned out to be another slick, overproduced, pop-oriented record, that was almost indistinguishable from the albums she’d released for Mercury. A frustrated McEntire made an appointment to see Jimmy Bowen, who had just taken over the helm as president of MCA’s Nashville division, unaware that he had already decided to drop her from the label. Bowen quickly rethought his decision after meeting Reba in person. He not only allowed her to make another album, he let her choose another producer and gave her complete control over song selection. 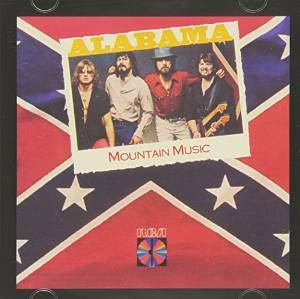 The result was 1984’s My Kind of Country, a pivotal album for Reba McEntire and for country music. Produced by Harold Shedd, it helped kick off the New Traditionalist movement and began a new phase of Reba’s career. Gone were the lush string arrangements and electric guitar solos, and back in front and center were the fiddle and pedal steel. Two singles were released from the album — “How Blue” and the Harlan Howard and Chick Raines-penned “Somebody Should Leave” — both, of which became #1 hits. Five of the remaining songs were covers of older songs, since it was difficult to find new traditional-sounding songs in early 1980s Nashville. Reba spent hours going through the back catalogs of the publishing companies, to find the kind of songs she wanted. She ended up choosing songs that had been made famous by the likes of Faron Young (“He’s Only Everything), Carl Smith (“Before I Met You”), Ray Price (“I Want To Hear It From You”) , Nat Stuckey (“Don’t You Believe Him”), and Connie Smith (“You’ve Got Me Right Where You Want Me”). She sings each of them with an enthusiasm and zeal that had been lacking on most of her previous releases. It was obvious that she was finally singing the kind of music she really loved, and having the time of her life in the process.